You have places to go and things to do—and your oxygen concentrator should not slow you down. 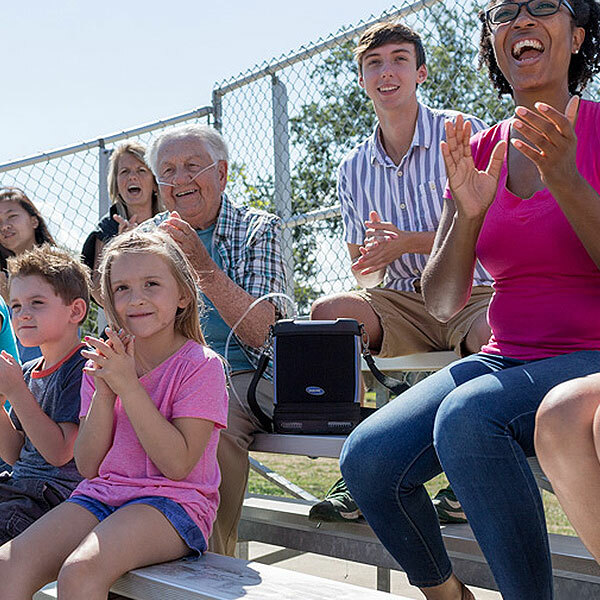 That’s why the Invacare® Platinum® Mobile Oxygen Concentrator was designed with practical durability in mind to help your patient weather their day. 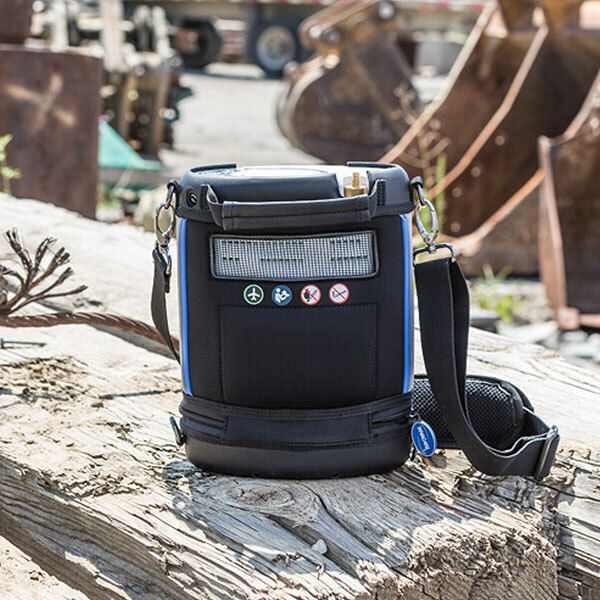 This portable oxygen concentrator (POC) features advanced Invacare Sensi-Pulse technology which adjusts automatically to deliver the right amount of oxygen to your patient no matter how much or little oxygen they need at the time. Frequently on the go? You can change the batteries on the top of the unit without the need to take off the bag or shut the unit off. Intakes and exhausts designed to dissipate heat, allowing POC to function up to 105° F.
Easily switch to backpack, purse, or messenger style carrying with just a few adjustments. Downward facing ports, reinforced seals on battery door and integrated drainage on channels. *It’s tested to IP22 standards to withstand 10 minutes of rain. Integrated bag bumpers, filters and padding protect the unit from daily bumps and everyday use. 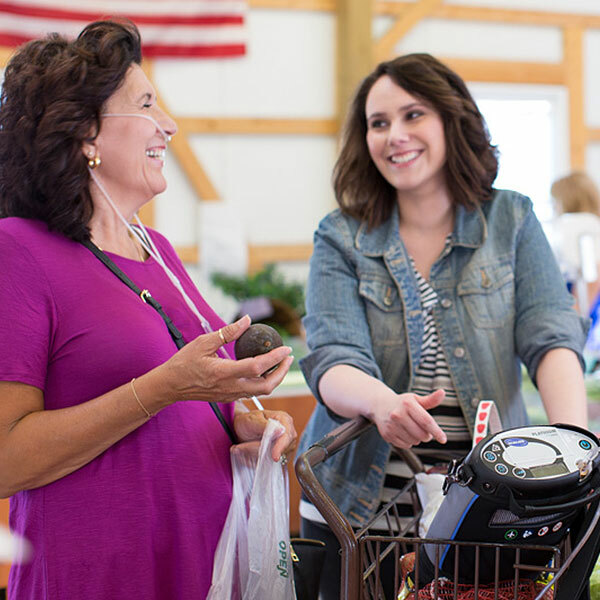 Learn more about the features and benefits of the Platinum Mobile Oxygen Concentrator.